Jack & Diane brought their travelling musical roadshow “Nashville Unleashed” to The King and Prince Resort on St Simons Island, Georgia Saturday August 13. They performed an amazing show; great music, with wonderful stories and laughs about songwriting and life in Nashville as a musician. It was a dinner show, with a Prime Rib buffet to start the evening and guests’ enjoyed the ocean views from the historic Delegal Room. The musicians performed “in the round” seated in the middle of the room, where every seat felt right up front. Jack & Diane launched “Nashville Unleashed” in 2008 with a strong vision for a show that would spotlight Songwriters in a way that helps them to connect deeper with a listening audience. 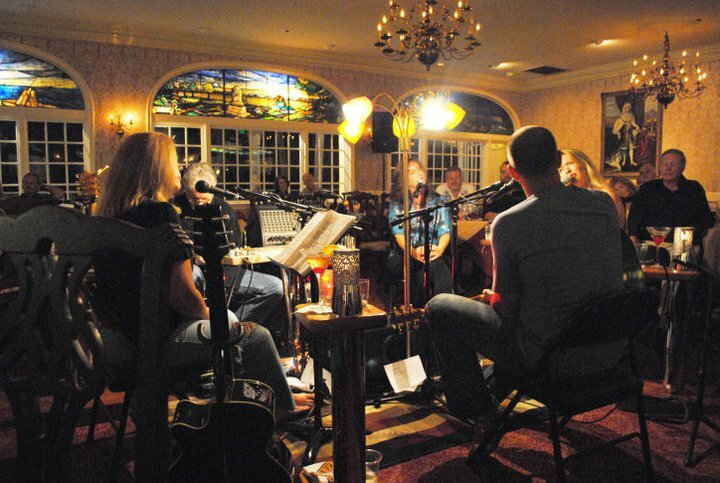 They brought 3 talented musicians with them; Karen Staley, Julie Forester and Mason Douglas. With their casual, easy-going style, I felt like they were playing their songs and telling their life stories to a group of me and my friends. The songs and the stories behind them were wonderful and each of the musicians voices were amazing; from tender love songs to fun country ballads. Nashville Unleashed will return to The King and Prince on Saturday November 19. The links below are to each of the musicians web sites. 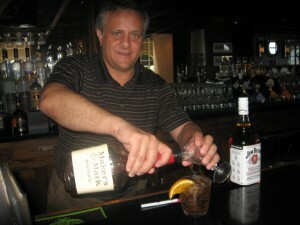 Ben Harrell tells about the Bourbon Tasting at The King and Prince on July 24, 2011. Vinny D’Agostino thinks it is high time that bourbon reclaimed its rightful place as “America’s Native Spirit,” the title it was awarded in 1964 by Congress. Reinvigorating a passion for former glories is “on the menu” for Vinny, who joins the King and Prince family as its new Food and Beverage Director from the Sawgrass Marriott Resort in Ponte Vedra Beach, Florida, and he hopes to see the storied Kings Tavern Restaurant mirror its heyday when the island social scene made its hub in the Tavern’s oceanfront venue. A big part of that plan for restoration, as Vinny sees it, is hosting events like this bourbon tasting. The event itself, hosted by Vinny with hors d’oeurves catered by the King and Prince kitchen, featured a little over fifteen in attendance, a mixed crowd of both guests and locals. It was held in the Retreat Room, one of the King and Prince’s many meeting venues, which features stunning ocean views. 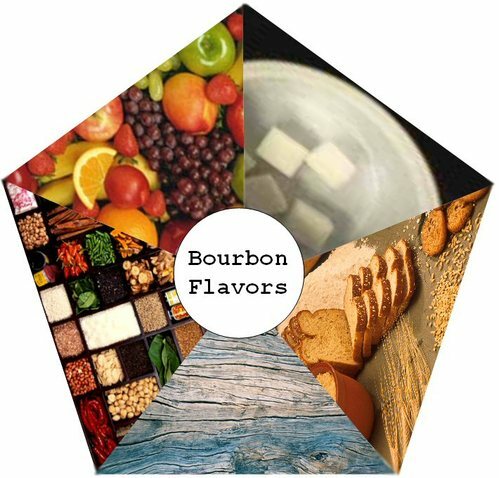 The tasting featured labels included Four Roses, Buffalo Trace, Knob Creek, Bakers, Evan Williams, Blantons, and Maker’s Mark. Attendees enjoyed a brief lecture on the history and roots of bourbon, from the Whiskey Rebellions of the 1790’s, to the rise of bourbon as America’s spirit of choice in the 1960’s, and to its eventual fall from grace at the hands of James Bond’s vodka martinis (shaken, not stirred) in the 70’s. Attendees also learned the finer points of tasting spirits, starting with smelling the alcohol, experiencing the bouquet, and identifying the base. After each tasting, group discussion revealed varied reactions to each individual label, but overarching themes became apparent. The bourbon tasting was finished with a King and Prince creation: bacon-infused bourbon. Both surprising and tasty, the spirit seemed to be a crowd-pleaser, but was quickly overshadowed by a surprise treat from local island ice cream shop, Moo Cow Creamery: candied bacon ice cream, and as if that sweet treat wasn’t enough to finish the night, Vinny introduced one final cocktail of the night, one of the King and Prince’s signature offerings: The Whiskey Smash, whose recipe is included below. As the evening drew to a close and the buzz of excited conversations filled the room, Vinny offered one last bit of advice: to consider bourbon in all its storied past and history the next time you frequent your favorite bar or go to stock your liquor cabinet. As a true piece of classic Americana, bourbon, not unlike the King and Prince Resort, is always a safe bet for a good time. Muddle the ingredients in a shaker. 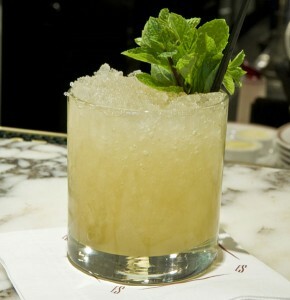 Add ice, shake to mix, strain and pour. 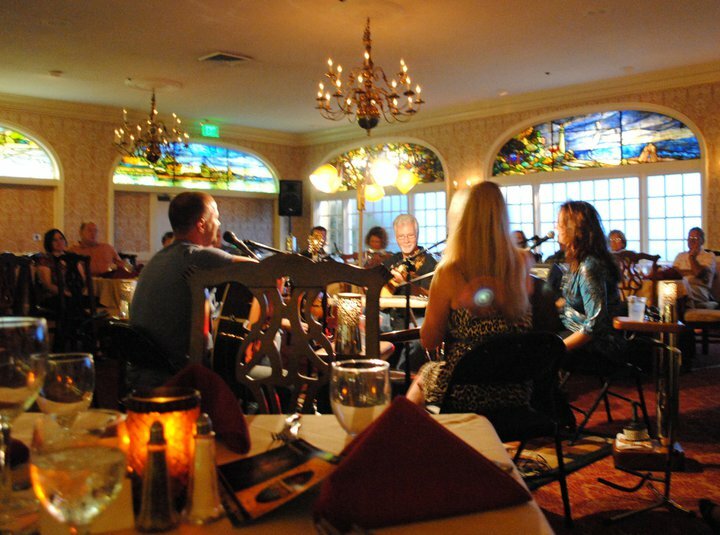 A live music and dinner concert is coming to The King and Prince Resort on August 13! Here is full information about the event, from the “What’s Happening” section of the August Elegant Island Living Magazine. This is the ultimate date night for music connoisseurs, as Jack & Diane, the musical hosts of Nashville Unleashed, will be sharing center stage with fellow Nashville performing songwriters at the King and Prince Beach & Golf Resort on Saturday night, August 13. 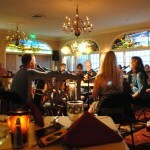 Dinner service begins at 6:00 p.m. and will conclude at 7:30, just prior to the show’s start. 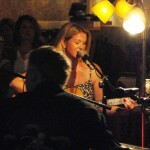 Jack & Diane perform and serve as the evening’s hosts. Joining them are Nashville performing songwriters: Karen Staley, who’s written for Faith Hill, Trick Pony and Tracy Byrd; Julie Byrd, a professional writer with Reba McEntire’s Starstruck Entertainment who has also performed on the West End stage in Longon, England; and Mason Douglas, who’s opened for Trace Adkins, James Otto and Jewel. The evening’s performance will be staged in the round in the hotel’s Delegal Room overlooking the Atlantic Ocean. It is similar to VH-1’s “Storytellers,” where the audience goes behind the scenes as the musicians share the inspiration behind their music and the stories that shape their songs. 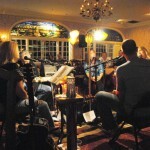 The performers are floor level in the middle of the room, surrounded by their listeners seated at candlelit tables that create a sense of intimacy, allowing them to engage their audience in conversation throughout the night. 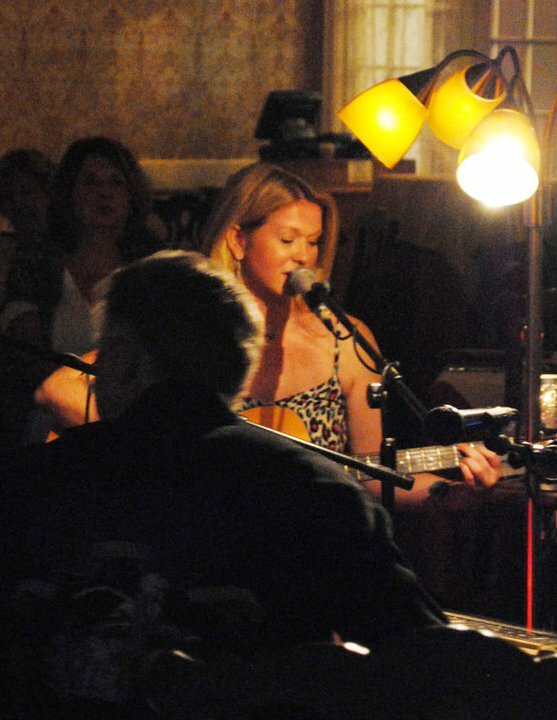 Their music is a bluesy, more soulful style of country, with Diane’s vocal influences including Bonnie Raitt and Stevie Nicks. Jack is renowned as an impressive guitarist and multi-instrumentalist with an unconventional approach. Both are long-time performing, recording and songwriting veterans with the ability to capture the hearts of their listeners and endear people to themselves almost instantly through music and lyrics. Tickets are $65 per person which includes dinner, exclusive of cocktails, and are available exclusively online at nashvilleunleashed.com.